The Digital Dental Record, known for providing DDS Safe™, the ADA Member Advantage endorsed 3 layer back-up system, is proud to introduce DDS Safe PRO™. According to a study from Symantec, Ransomware attacks have escalated by 500% in recent years. Ransomware is software that a hacker uses to infiltrate your network, lock your practice data and demand a ransom from you in order to un-lock it. According to FBI.GOV, having your data backed up offsite is a key tip to limiting the impact of Ransomware. Which way should your office be sending Protected Health Information? The Digital Dental Record is the ADA business resources endorsed provider of online back-up to the dental market. The Digital Dental Record, known for providing solutions that optimize the digital workflow of dental offices, now offers HIPAA compliant secure email from Hightail. 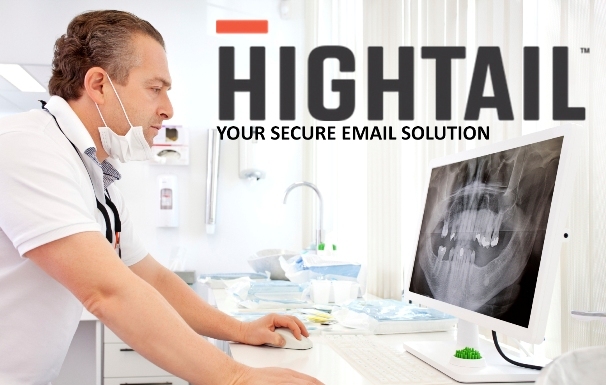 Hightail, the #1 HIPAA compliant secure email platform allows dental offices to send patient health information securely between providers, specialist and patients. What does Nintendo, Microsoft Windows and The Dental Record have in common? All three have evolved and are celebrating 30 years in business this year. The 30th anniversary marks a new era. The Dental Record is introducing The Digital Dental Record, offered through the WDA Insurance and Services Corp.’s Professional Services Division. It features digital business solutions focused on improving the workflow in a dental office. The Digital Dental Record, known for providing solutions that optimize the digital workflow of dental offices, has partnered with PerCSoft, a Wisconsin based dental technology resource. The Digital Dental Record, known for providing solutions that optimize the digital workflow of dental offices, now offers EDS Bridge, an electronic claims processing solution from Electric Dental Services (EDS). What kind of practice would you like to have, one with paper charts or one with electronic charts? Both options are available and both have their pros and cons. Everyone is familiar with the HIPAA regulation that requires you to distribute a Notice of Privacy Practices to all patients, who then sign an Acknowledgement indicating they have reviewed the Notice. While most patients don’t actually review the information, certain content is required to be included on your Notice.